The weekend of March 16 was reckless and competitive in the FMA District in 2018. The Krypton Cougars were one of 31 teams who attended this district event. This was the team's first district competition for the 2018 robot, Franz, let alone their first 2018 competition. the Krypton Cougars started strong, and ended stronger. 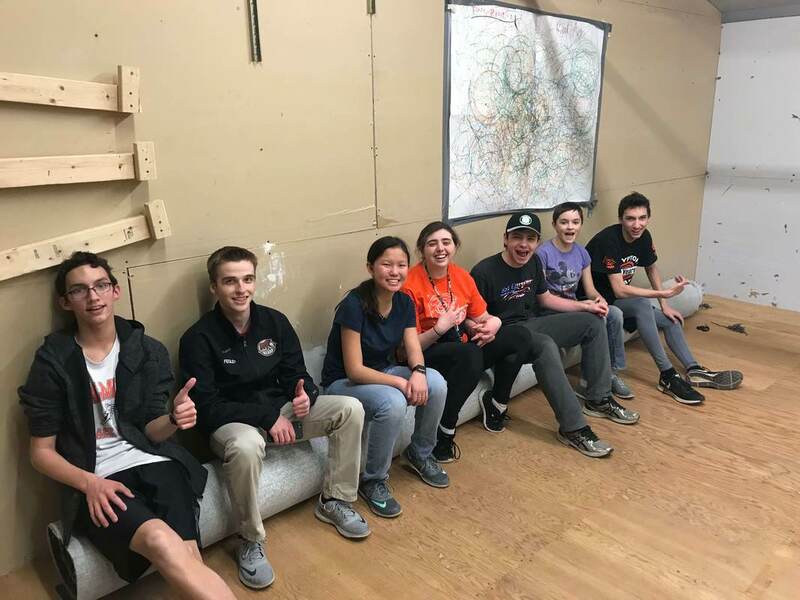 They gained experience and a good reputation at Springside Chestnut Hill, and it would eventually lead them to the FMA Regionals event. The team entered the qualification matches with a victory, ending the match 385 to 232! The team moved onto the 8th match, their second, and won it beating the future alliance captain, Lunatecs! However, it was not a quick and easy win. 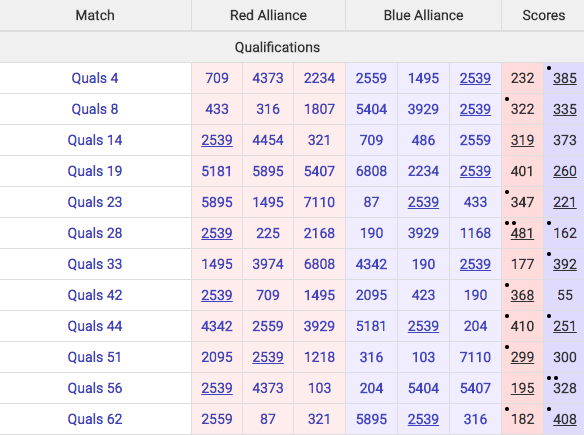 The Blue Alliance won by just 13 points! The team's 3rd match was the 14th, losing by 54 points. The team then proceeded to the 19th qualification match, losing this one 260 to 401. The team's luck did not improve in the 23rd qualification match either. They lost, 221 to 347, allying with Team 87 and Team 433. The 28th match really brightened Team 2539's day, winning the match 481 to 162! The team was partnered with another outstanding team from York, known as TechFire (Team 225). The team continued this attitude into the 33rd qualification match, winning it 392 to 177. This winning streak did not end here however. It proceeded right through their next match, the 42nd, with Team 2539 winning 368 to 55! The team did not leave empty handed however. The Krypton Cougars left the 2018 Springside Chestnut Hill District Event with the creativity award which they earned for their remarkable 'Iron Cross' idea. This award also helped get them to the FMA Regional Event. They also earned a total of 29 points at this competition. The Krypton Cougars would most certainly be proud to say they competed at Springside Chestnut Hill, even though they did not win.